Application Fee: Rs.100/-(Rs.20/- for SC/ST/PH-Ex-SM). For more details refer website. 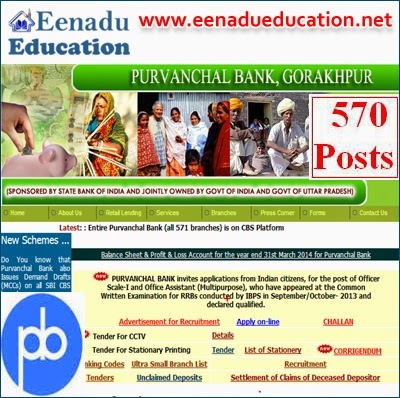 How to Apply: Apply Online at Purvanchal Bank website between 30/05/2014 and 20/06/2014 only.